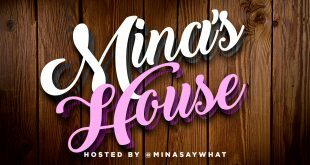 In this 58th of Mina’s House Podcast hosted by Mina SayWhat in her house with guest co-host Dexter, The two start off talking about “What’s In Your Feed.” Everything from Meek Mill not being released to Tristan Thompson’s serial cheating, Nicki vs Cardi B and The Weekend. Their topic this week is “Can you come out of the friend zone?” Mina also talks to comedian Michael Blackson starting at 1:02. Enjoy!